PA-28 N to exit 6 for Highland Park Bridge toward PA-8 S/Aspinwall merge onto PA-8 S/Washington Blvd., R onto Plum St., to Hunter Rd., L onto Highview Dr., R onto Greenridge Dr.
Hello, I’m interested in 4017 Greenridge Dr and would like to take a look around. 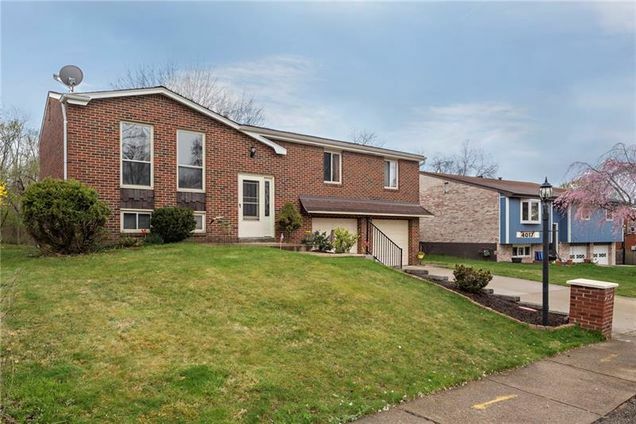 The details on 4017 Greenridge Dr: This house located in Penn Hills, PA 15147 is currently for sale for $147,900. 4017 Greenridge Dr is a – square foot house with 3 beds and 2.5 baths. 4017 Greenridge Dr is in the Penn Hills neighborhood of Verona and has a WalkScore® of 2, making it car-dependent. This house is in the attendance area of Penn Hills Senior High School.